Hills of Tredegar were as much apart of Valley life as butter is to bread. 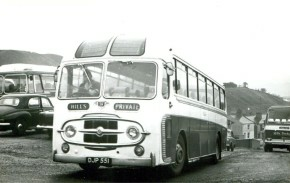 EWO459K, a Bedford YRQ with Plaxton Elite II body, new to Hills in July 1972.
above photos supplied by Huw Morgan from his collection. EW0460K has now been saved for preservation by Rob Sherratt of Derby and us seen in its current condition. It is Robs�intention to restore this caoch to Hills of Tredegar livery and we wish him well. 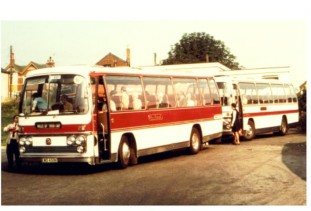 An archive black & white photo ofa Leyland Tiger Cub with a Plaxton 41 seat coach body of late fifties vintage. 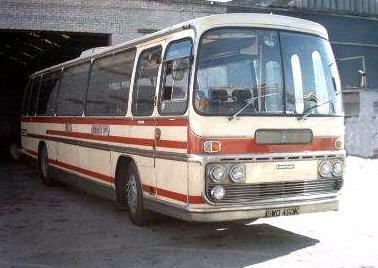 It was acquired by Hills in July 1965 from Florence of Morecambe. 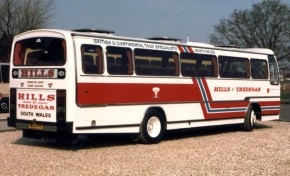 NDW147X - it is a Leyland Tiger with a Plaxton Supreme VI body, one of 74 Tigers purchased new by Hills between 1981 and 1990. This coach along with sister, NDW141X are now preserved by Anthony Cribb of Fleur de Lys who intends restoring both coaches into Hills livery. 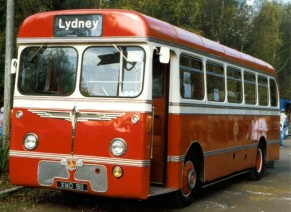 Another Hills bus in preservation is XWO911 - one of the very first Leopards, new in1960 and fitted with a Burlingham (picture attached), owned by two preservationists in Pontypool.